Shirley Edwards - Edwards Electronic Systems, Inc.
﻿Shirley Edwards started working part time right after EES was formed in 1997 and in 2000 full time. As Mike’s mom, it has been a joy to watch EES grow into what it has become today. Having worked in customer service most of her life, she has a strong desire to provide the best customer service available. Shirley’s primary job is to offer support to the sales staff, however, having done most of the task in the office she can fill in where needed. 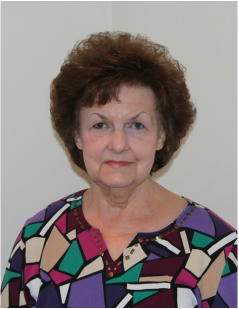 Shirley lives in Princeton, NC with her husband and enjoys spending time with her family and especially her grandchildren. She also enjoys singing, traveling, and some crafts.